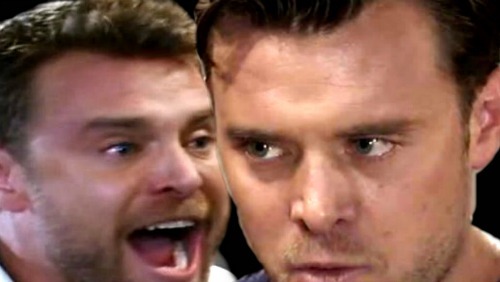 General Hospital (GH) spoilers tease that Jason (Billy Miller) will be pushed to his limit. He can’t stand the thought of an impostor coming in and taking over his life. Jason really flew off the handle when Patient Six (Steve Burton) walked in carrying Sam (Kelly Monaco). He didn’t seem to care about the fact that P6 just pulled off a heroic rescue. It was a bit disturbing to watch Jason lose it like that. He snarled at Patient Six to put Sam down or he would kill him. Jason’s anger continued to bubble up as Sonny (Maurice Benard) took Patient Six’s side. Things will likely get worse as other friends and family members weigh in. It’s understandable that Jason feels threatened and outraged. No one can blame him for trying to stay in control of this crazy situation. However, this could also mark the beginning of a dangerous path. Jason will work hard to find proof against Patient Six, but what happens if this doesn’t turn out like he expects? Andre (Anthony Montgomery) certainly seems to think Patient Six is Drew and that may be revealed to Port Charles residents soon enough. Still, it’s quite early in this story. It’s tough to believe GH will just share the news and leave it at that. Jason may be vindicated initially, but he could be proven wrong down the road. If new details emerge that point to Burton’s character as the real Jason Morgan, what will current Jason do? If his recent outburst is any indication, Miller’s character could easily come unhinged. Sam and his kids are his whole world. Current Jason will undoubtedly do everything in his power to keep them. 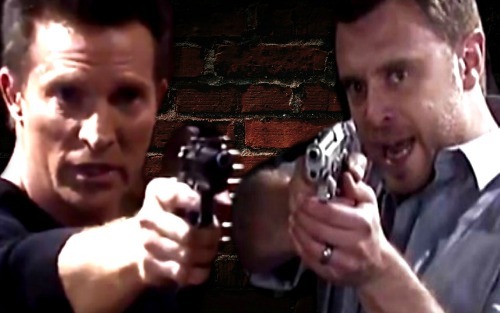 General Hospital spoilers hint that some scary shockers are brewing. Could we see another fierce faceoff where Patient Six’s life is in jeopardy? Never underestimate how far current Jason is willing to go for his loved ones. It’s easy to imagine Miller’s Jason pumping a bullet in Patient Six if he’s pushed to that. Sonny, Valentin (James Patrick Stuart), Dr. Klein (Gene Farber), Andre and even Franco (Roger Howarth) may all want to watch their backs. If current Jason feels they’ve contributed to his crumbling world, he might come after them as well. Miller’s character could be in a truly dark state of mind. Did you find current Jason’s outburst unsettling? Will we see more and more of that dangerous side in the months ahead? We’ll give you updates as other General Hospital news comes in. Stick with ABC’s GH and don’t forget to check CDL often for the latest General Hospital spoilers, updates and news.